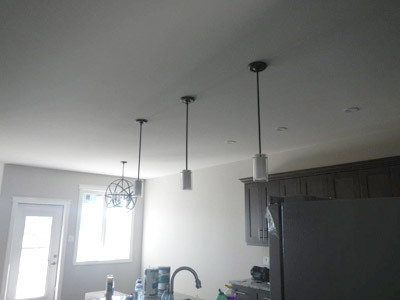 We serve many homeowners in Moose Jaw and surrounding areas with comprehensive residential electrical services. At Collier Electric, our services are available for both existing and brand new systems. We offer repairs and installations, as well as upgrades and maintenance. Our repairs are specialized for many different systems you have at home. We offer repairs for lighting, garages, security systems, backup generators, and more. Collier Electric will make repairs for ultimate energy savings and safety for you and your family to enjoy every day. If you need an electrical replacement or have a new system you need installed right away, give Collier Electric a call! We offer installations for wiring, fuse boxes, specialty lighting, motion detectors, and so much more. No job is too small. For the latest in technology and top security at home, we offer upgrades for residential spaces to ensure your electrical systems are up to code. We will also make sure it is working efficiently for you and your family’s individual needs. Electrical maintenance is crucial in keeping your lights on and other systems running smoothly. The technicians at Collier Electric are available to visit your home and perform the maintenance your systems require. We are also available to diagnose other issues and provide replacements as needed.